Moving from Florida to TexasMidwest move is between FL and TX. 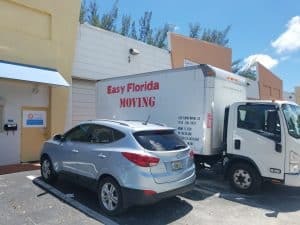 Starting from as low as $1299 to move from Miami to Huston, Easy Florida Moving also offers flexible schedule and exclusive options for straight delivery. One of our most popular interstate relocations is definitely moving between Florida and Texas. Move from Miami to Austin and reverse is that what is our customers are usually ask about. Moving specialist from Easy Florida Moving will always find the most affordable and cheap moving to Texas using our service. We do it on daily basis and more than familiar with all of the requests that you may have regarding your upcoming relocation to or from TX. Right from the first call to schedule an estimate visit to the actual day of moving, it was such a breeze to deal with Alex and team. Although they estimated to finish the move in one trip and took an additional round to move few extra boxes, they honored their initial estimate and finished the job in time, on schedule. They are very meticulous in packing all the furniture to prevent any damages. 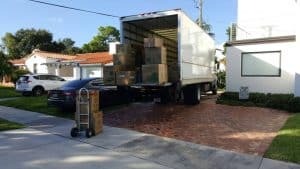 I couldn’t have been happier and highly recommend them to anyone needing movers in SFL. Great job Alex and team!!! Can’t say enough how much helpful they are.